Copyright © Carles Curto Milà - This image is copyrighted. Unauthorized reproduction prohibited. 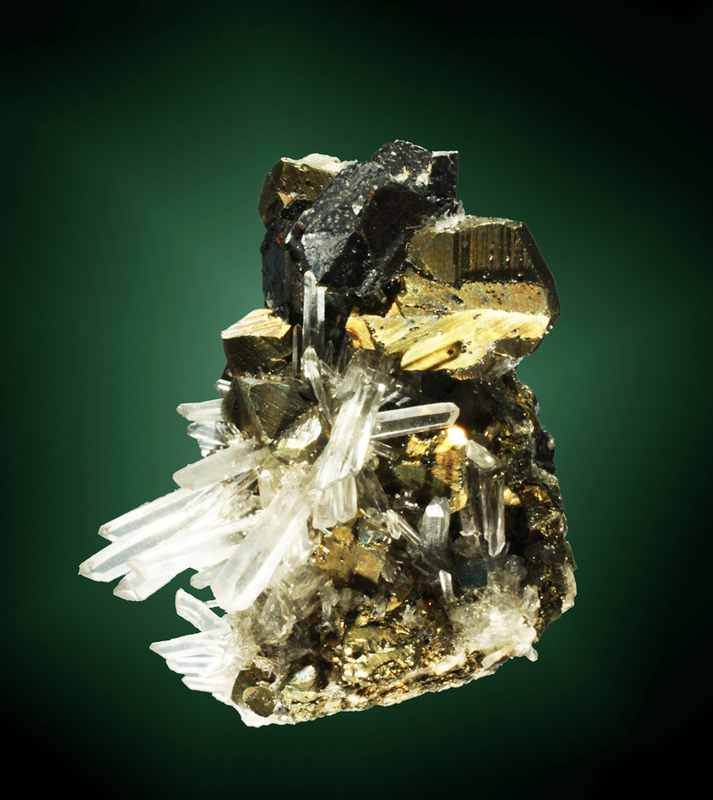 Twinned chalcopyrite crystal on matrix, with sphalerite (marmatite), quartz and minor pyrite cystals.